Unwanted tattoos are a common occurrence. A tattoo that seemed cool a few years ago may grow tiresome, or may even become an embarrassment. Fortunately, Gainesville Dermatology Aesthetic Center offers a non-invasive laser procedure for the permanent removal of unwanted tattoos. Using Candela’s Alex TriVantage, tattoos can be removed regardless of ink color or skin type. The removal process works by producing short pulses of laser light that pass harmlessly through the top layers of the skin and are selectively absorbed by the tattoo pigment. This laser energy causes the tattoo pigment to fragment into smaller particles that are then naturally removed by the body. Tattoo removal at Gainesville Dermatology is safe, and generates minimal side effects. 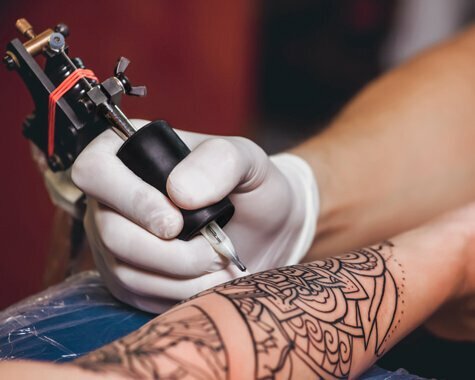 If you have a tattoo that you’re embarrassed of or just plain sick of looking at, Gainesville Dermatology Aesthetic Center can help. Call 352-333-3223 to schedule a free removal consultation today.